This is what it’s all about, riding with your pals, enduring the climbs together, getting that group photo at the trail head, and smashing down something new, acting like giddy, muck covered children at the bottom, high on adrenalin and life! 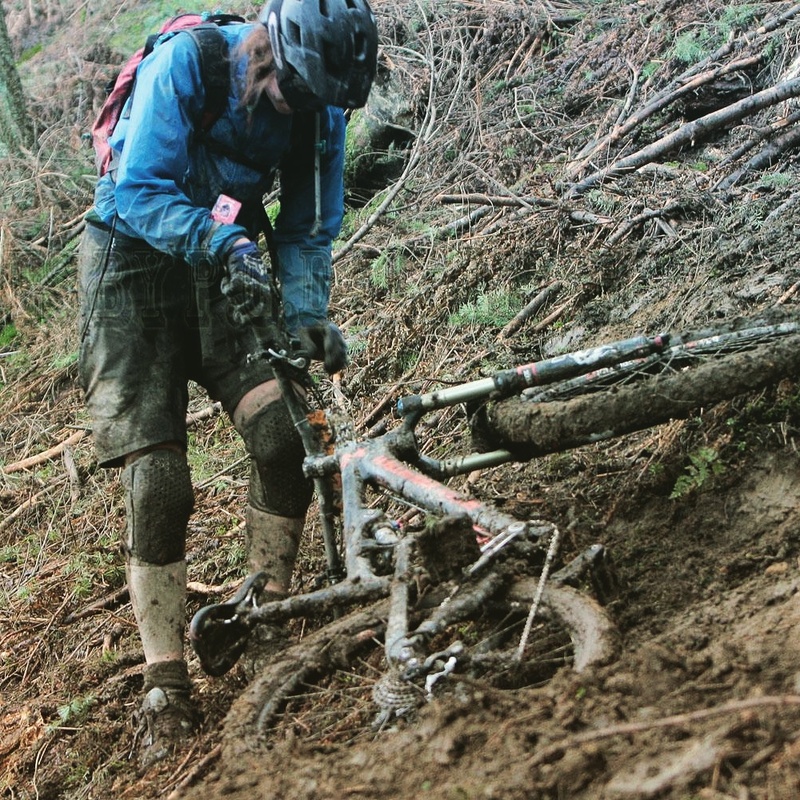 At 27 years, I discovered mountain biking. At 28, I decided I wanted to change my career path as a consequence. 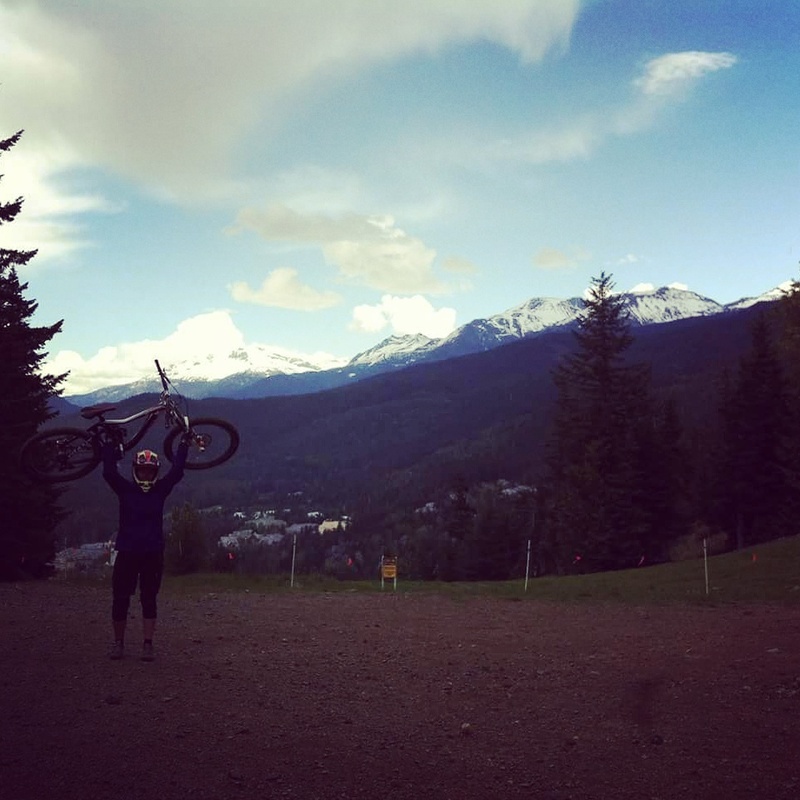 At 29, I sauntered off to Whistler, the Mecca of mountain biking, to grab at my chance of turning my hobby into my day job. I already had a career in Marketing and Social Media, for a fantastic independent Oil and Gas training company back in Aberdeen, but the mountain biking had me hooked and I wanted to at least test out my chances of transferring my current skills to the mountain bike industry. A chum had recommended doing an instructors course, as he’d completed a snow season in Utah as a Snowboard Instructor a few years ago and that’s when everything sort of fell into place. 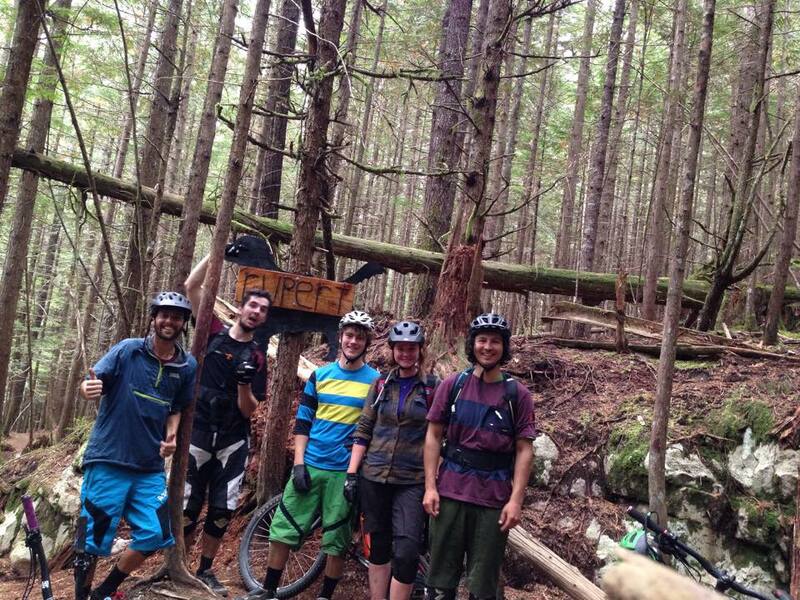 I immediately looked up mountain bike instructor courses online and found Peak Leaders. After a little research, countless hours watching Whistler Mountain Bike Park YouTube clips and number crunching, I signed myself up. 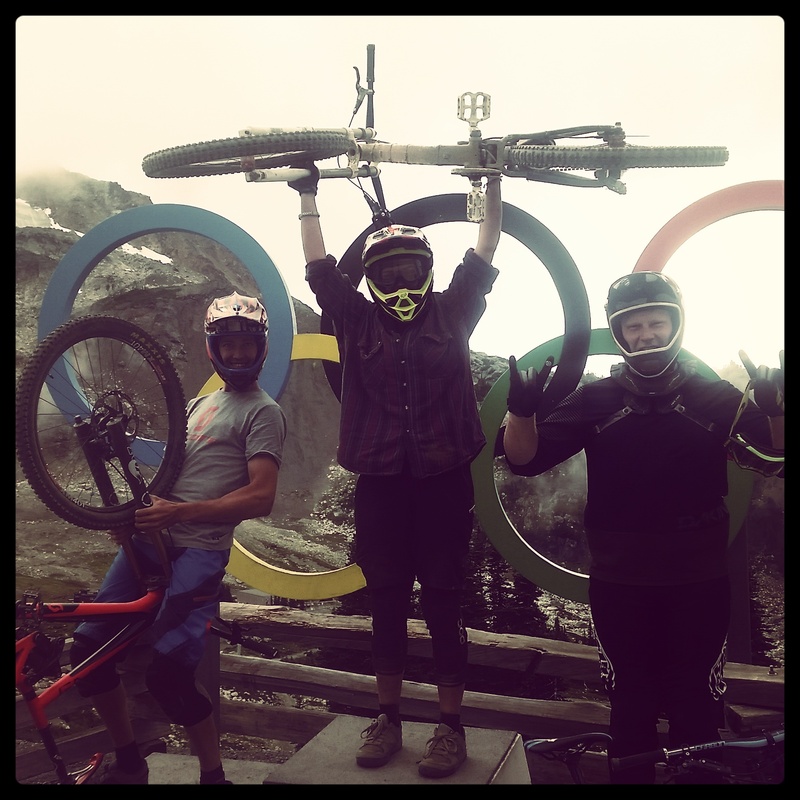 The first 3 weeks of the course saw 19 of us qualify as IDP Level 1 and 2 Mountain Bike Instructors for Whistler Blackcomb (you can read more about that particular journey here.) With guaranteed jobs working for the mountain…if we had Visas, and that’s where my journey to secure a job in the industry took an unforeseen turn. My visa had not been granted…yet, as I was still sitting pretty high on the waiting list. Undeterred, I had saved up enough money to complete my season jobless, and I’d rather spend it having an incredible time improving my riding in mountain bikings very own Disneyland than put off travelling for another year. Fortunately, Whistler has an outstanding community and spirit, like I have never seen or felt before. I made great friends who I shared a season filled with moments that I look forward to randomly remembering in 10 years time, walking down the street, grinning from ear to ear!! One door shuts, another one opens as they say, one that would see me writing blogs for Peak Leaders, the company I had completed the course with, while updating their Instagram page with all the mountain bike related capers we got up to this summer. Moreover, I was allowed to shadow their 5 week end of season coaches camp, take photos and blog about the trainees journey to Whistler and back…winner winner chicken dinner, eh! A cracking start on my quest to find a job in the industry. Of course, I started this trip with a win win attitude – if I find a job…awesome, if I don’t…well, I’ll have had the most sensational trip of a lifetime doing what I love. After 5 remarkable months, this chapter of my journey comes to a close, and I’m finishing with a bang in Squamish, my favourite community in beautiful British Columbia thus far. Excited to see my best friends and family, and thrilled to ride my local trails with new found bike skills, but ultimately fearing my imminent return to reality. 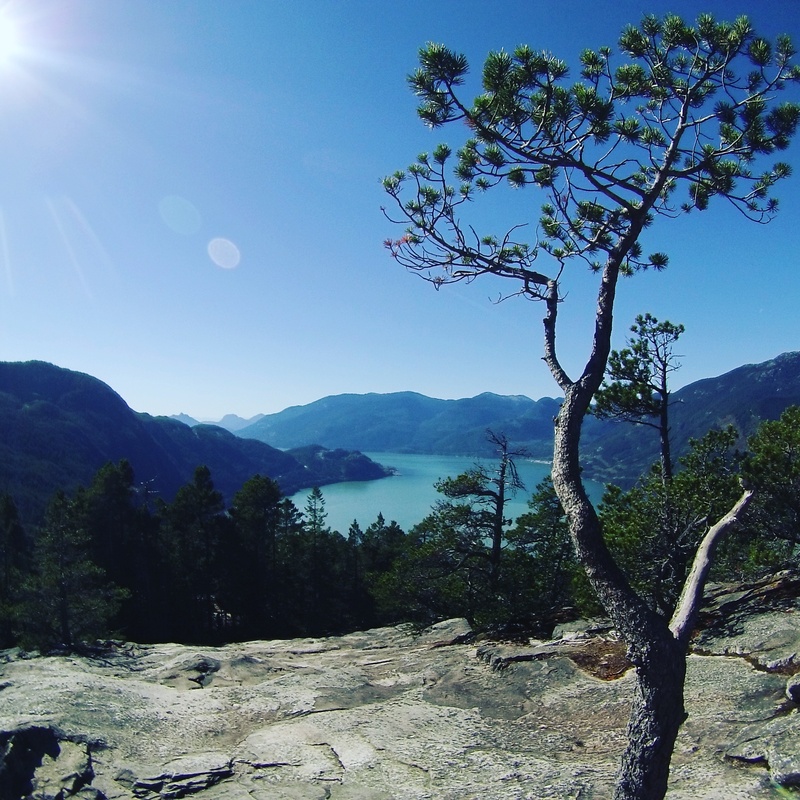 Fearing perhaps for reasons that include my devoted desire to ride the thoroughly mind blowing BC trails all day, everyday and most definitely because I could stare at the Howe Sound from The Stawamus Chief until my eyes fall out. Wow, this is really exciting. You will have some amazing skills to attack your local trails with. I look forward to reading about your journey towards that dream job!